With sadness and love, on February 1, 2018 we said goodbye to our mom, grandma/great-grandmother, sister and friend. 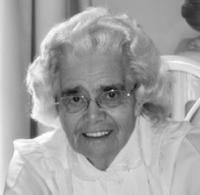 Helen Clouston lived a wonderful, active, and happy life until the age of 93. Helen is survived by her daughter, two sons, five grandchildren, ten great grandchildren and one brother in Ottawa. Helen was predeceased by her husband, Bill and son, Don. Helen was loving, friendly, always positive and supportive, and will be remembered for her kindness, warmth and wonderful smile. A private family graveside service has been held. In lieu of flowers, donations can be made to a charity of choice.